Noam Chomsky is one of the country's leading intellectuals and scholars. A MIT Professor of Linguistics and long-time activist, prolific writer and popular lecturer, Chomsky speaks widely on a range of social and political issues, both national and international. From linguistics to philosophy, from history to contemporary issues, from international affairs to U.S. foreign policy - Chomsky's clear, straight-forward honesty is legendary. Chomsky was born on December 7, 1928, in Philadelphia, Pennsylvania. He received his PhD in Linguistics in 1955 from the University of Pennsylvania. From 1951 to 1955, Chomsky was a Junior Fellow of the Harvard University Society of Fellows. The major theoretical viewpoints of his doctoral dissertation appeared in the monograph Syntactic Structure, 1957. This formed part of a more extensive work, The Logical Structure of Linguistic Theory, circulated in mimeograph in 1955 and published in 1975. Chomsky joined the staff of the Massachusetts Institute of Technology in 1955 and in 1961 was appointed full professor. In 1976 he was appointed Institute Professor in the Department of Linguistics and Philosophy. 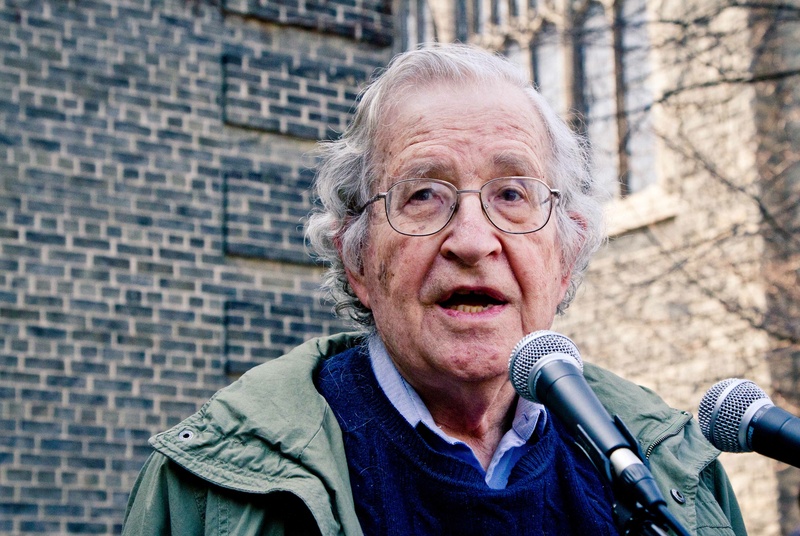 Chomsky has lectured at many universities here and abroad, and is the recipient of numerous honorary degrees and awards. He has written and lectured widely on linguistics, philosophy, intellectual history, contemporary issues, international affairs and U.S. foreign policy. His most recent books include A New Generation Draws the Line, New Horizons in the Study of Language and Mind; Rogue States; 9-11; Understanding Power; On Nature and Language; Pirates and Emperors, Old and New; The Faculty of Language: What Is It, Who Has It, And How Did It Evolve? ; Chomsky on Democracy and Education; Middle East Illusions; and Hegemony or Survival. "A global phenomenon, perhaps the most widely read voice on foreign policy on the planet." "The conscience of the American people." "The lecture was great. We were at capacity in our theater with 600 seats and we had to turn away about 300 others. It was such a smooth process working with you all. Keep up the good work. It really says a lot about your agency."